It is recommended to brew with rose herbal tea. 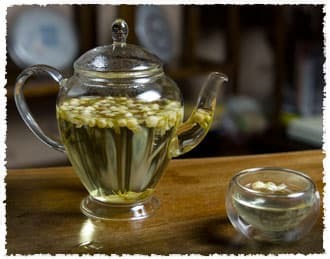 It is a widely held belief in China that jasmine flowers have many healthy benefits, such as aiding depression and helping to detoxify the body. 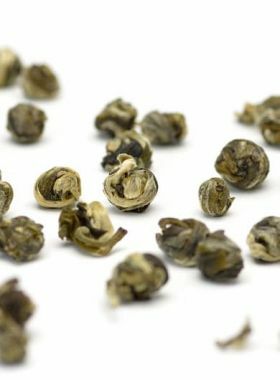 The slightly yellow flower buds have both a concentrated, pleasant fragrance as well as a fresh, subtle mouthfeel and taste. 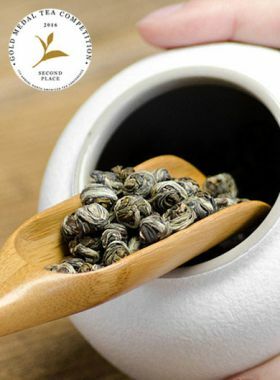 Jasmine is widely cultivated throughout the world for its characteristic flower fragrance, often compared to the sweet taste of the air during spring. It is native to the tropical and subtropical regions of Eurasia, Australasia, and Oceania, and was later introduced to China. Jasmine thrives in warm, humid areas that experience abundant sunshine, and blooms through summer and autumn. As the most productive jasmine growing area in China, Heng County has been honored by China’s State Forestry Administration and the China Flower Association as “the hometown of Chinese jasmine”. This area receives abundant sunshine and rainfall and has both a long-lasting summer and fewer frosts than other regions, all of which are favorable climatic conditions for the growth of jasmine. Herbal tea refers to any beverage made from the infusion of various plant materials such as flowers, stems, leaves, or even roots. The ingredients are 100% natural without any artificial colors, and the lack of any type of caffeine content helps to ensure high quality. 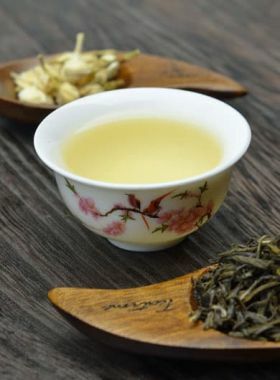 These teas are often rich in beneficial nutrients, like vitamins B, C, and E, and thus are not only pleasant to look at but also healthy to drink.